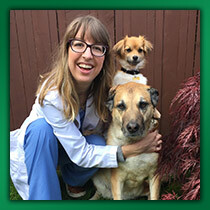 Dr. Carolynn Dunphy first fell in love with animals as a child growing up in Puyallup, WA. After high school, she moved up to West Seattle and first got to know Greentree Animal Hospital as a client bringing in her beloved shepherd mix named Mufasa. Dr. Dunphy attended The University of Washington for her Bachelor of Arts Degree in Biological Anthropology, and went on to work rehabilitating wildlife in Indonesia. This worked inspired her to become a veterinarian to promote a healthy community in her own neighborhood. She obtained her veterinary degree from Washington State University and won multiple awards for her work, promoting goat health forlow income families abroad. 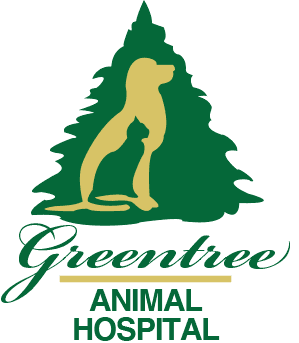 Dr. Dunphy has special interests in small animal preventative care, dentistry, end of life care, and ultrasonography. She lives on Alki with her old shepherd Mufasa and recently adopted a lap dog puppy named Molly. You may find Molly in the lobby snuggling with reception staff!